Subscribe whois database of France for just $19/month. You also get access to database of previous 30 days when you subscribe for free. 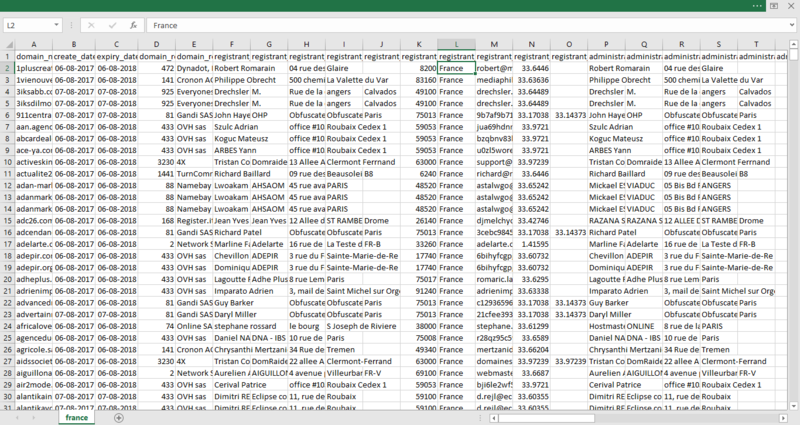 Everyday around 1000 domains booked in France. In cleaned database we delete privacy protected domains, duplicate telephone numbers / emails & incorrect numbers (numbers less than actual digits of particular country) etc. If you want Bulk Whois Database of France, than we have Database from March-2012 to till date 4,988,109 domains with whois database, Get the compplete whois database of more than 4.9 million domains for $299 only.